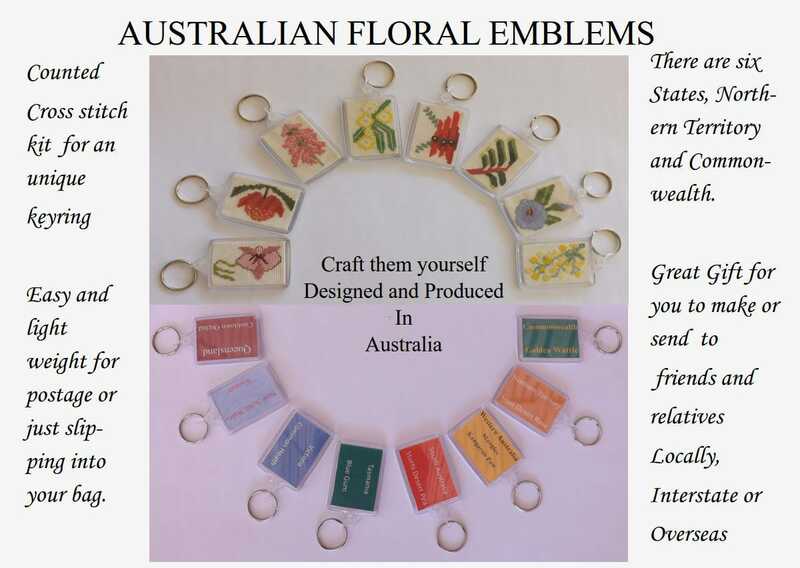 Create your own uniquely Australian keyring with this counted cross stitch kit. 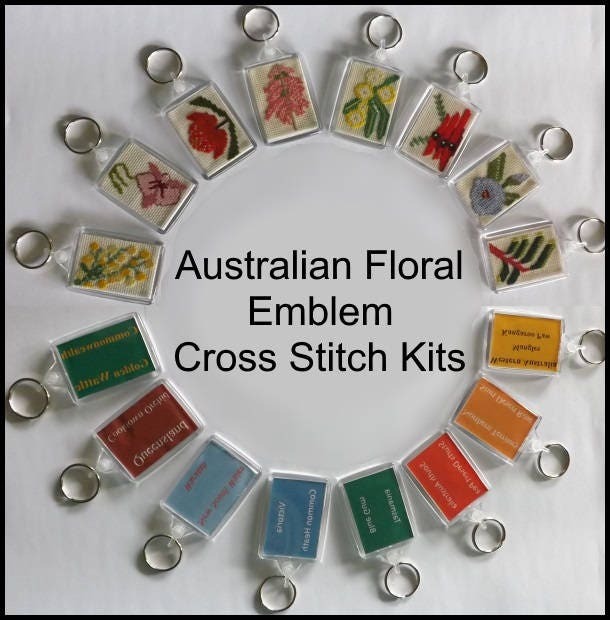 The cross stitch kits contain everything you need to make your own unique keyring - aida fabric, embroidery threads, needle, full instructions, State colour backing, and keyring. They are the perfect gift for you to make or send to friends and relatives overseas, interstate, or locally. 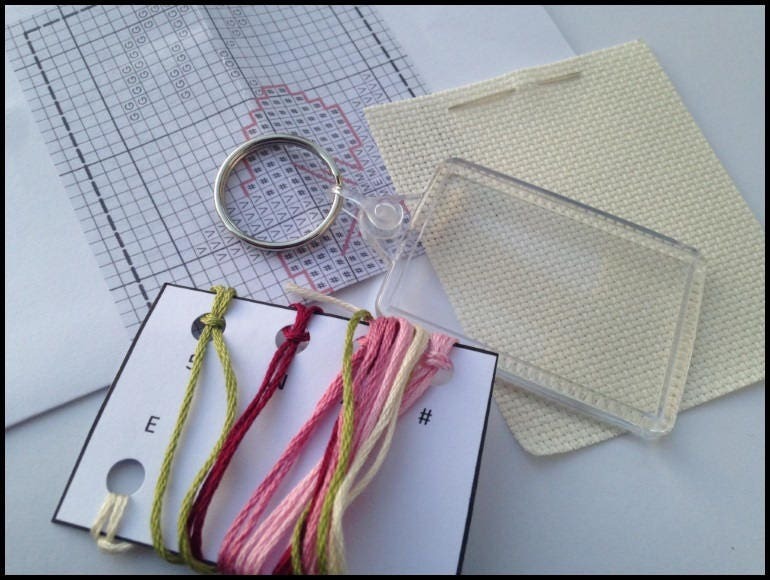 Easy and light weight, these keyring kits are perfect for posting, or slipping into your bag for an on-the-go project. 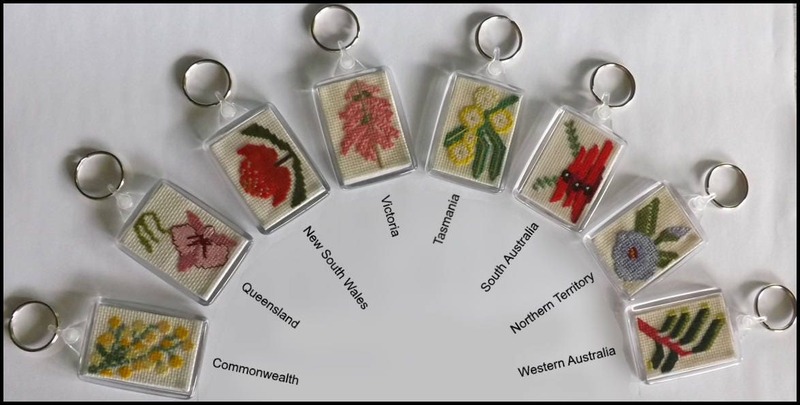 These unique Australian keyrings were designed and produced in Western Australia by Bennachie Productions, and are sold on Etsy by Fangirl Stitches. Looks very pretty, will be nice to stitch for a gift.